Home » life , reflections » Radar at Work! All of a sudden, it struck me that my SCJP certificate hadn't arrived yet. It was supposed to come by post from the U.S. I wondered if I ought to pull out the printed mark-sheet I got here after giving the exam, and look for an email address on it, to inquire about my certificate. But then I remembered that one of my school friends (who has cleared this exam before) had told me it could take up to a month for the certificate to arrive. So I decided to leave it for today... and carried on with my Color Junction and my thought process. Less than 10 minutes later, the door-bell rang. It was the guard of our building with 2 envelopes in his hand. One of them, the smaller one, was addressed to Dad, but the larger one had my name on it! I wasn't expecting a courier from any of my friends... and I'd already forgotten about the certificate by that time. So I wondered about the packet for a fraction of a second... until I set my eyes upon the Sun logo printed on it! Yupp! You guessed it! It was my SCJP certificate! I was like "WOW! I JUST thought of my certificate... and it has arrived!" Seems like the delivery guy must have been downstairs, delivering the packet to our guard, when I had that fleeting thought about it up here. "Some coincidence" I said to myself. Then, about an hour ago, I was again sitting at my workstation here, burning some DVDs ('coz my hard drive refuses to download any more movies now, due to lack of space!) and doing my embroidery along with it. Suddenly, I remembered this friend from Delhi who started doing this Java course with me, but eventually, got busy with her family and kid. I spent a day at her place when I went to Delhi earlier this month, and she promised to keep in touch this time. So I wondered why I hadn't heard from her since I returned, and whether she even had my contact number for Patna. "Oh but I was carrying the same number with me in Delhi this time! So she definitely DID have it!" Now obviously, it didn't take me as long to think about all this, as it's taking me to write about it... or you guys to read about it even! Thoughts, as you probably already know, travel so fast! And in less than 30 seconds after having those thoughts about her, my phone started ringing. I thought it was my sister... but NO! It was HER! The friend I'd been thinking about just seconds ago! WOW again! lol... only if u had told me earlier. Ha ha ha ha ha ha ha! Arre lottery ticket tum kyun khareedoge? Main khareedoongi na... if I'm the one having an intuition abt it! Ha ha ha ha ha ha ha! i would say thts the way telepathy works!! chalo congrats for the certificate and the call!! keep blogging! We write our own future. I'm talking abt Ashkd.. 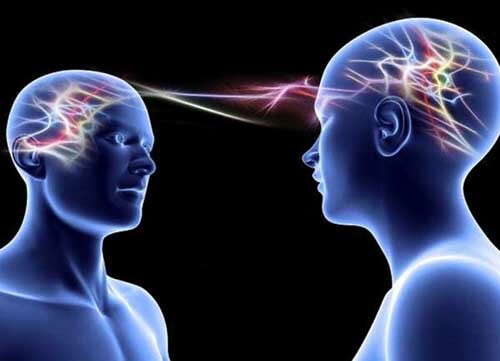 I dont know its telepathy or we should say that we r on same frequency.. but whatever it is ,it is something paranormal..
Just one comment on the blog and now we r like alaways available on our personal messenger for each other and that is "The Telepathic Messenger"
But why did u bother shortening it silly? Koi word limit thodi hai blogger comments mein! Hey Bhagwaan! 3rd comment! Arre... there are so many other posts also waiting for your visit! Zara unpe bhi to nazar daalo!